On December 27, 2018, a solemn meeting was held at the Institute of International Relations of the Ministry of Foreign Affairs of Turkmenistan dedicated to the 10th anniversary of the institute. The meeting was attended by the employees of the Ministry of Foreign Affairs of Turkmenistan, heads and representatives of the embassies and representative offices of international organizations working in Turkmenistan, heads of diplomatic missions of Turkmenistan abroad, teachers and students of higher educational institutions, representatives of public organizations and the media. After visiting the exhibition, specially prepared for the 10th anniversary of the institute, the opening of the solemn meeting started. Then, the participants of the event turned to the solemn meeting devoted to the 10th anniversary of the IIR of the Ministry of Foreign Affairs of Turkmenistan. 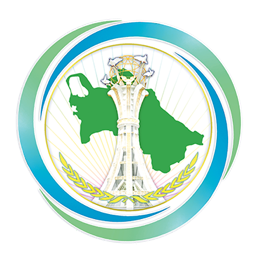 B. Zakhyrov, Rector of the IIR of the Ministry of Foreign Affairs of Turkmenistan addressed the participants of the jubilee meeting with an introductory speech, followed by the Deputy Chairman of the Cabinet of Ministers, Minister of Foreign Affairs of Turkmenistan R. Meredov. The meeting was also addressed by the Rector of the International University of Humanities and Development E.Aidogdyev, Acting UN Resident Coordinator in Turkmenistan N.Natsvlishvili and others. At the end of the celebration, the participants of the meeting adopted an Address to the distinguished President of Turkmenistan Gurbanguly Berdimuhamedov. After that, the ceremonial opening of the Training Center in priority areas of diplomacy of Turkmenistan took place. In addition, as part of the solemn meeting, the participants of this event visited the training studio of the IIR of the Ministry of Foreign Affairs of Turkmenistan.